That was a pretty cool video. I need a Time Machine!!! 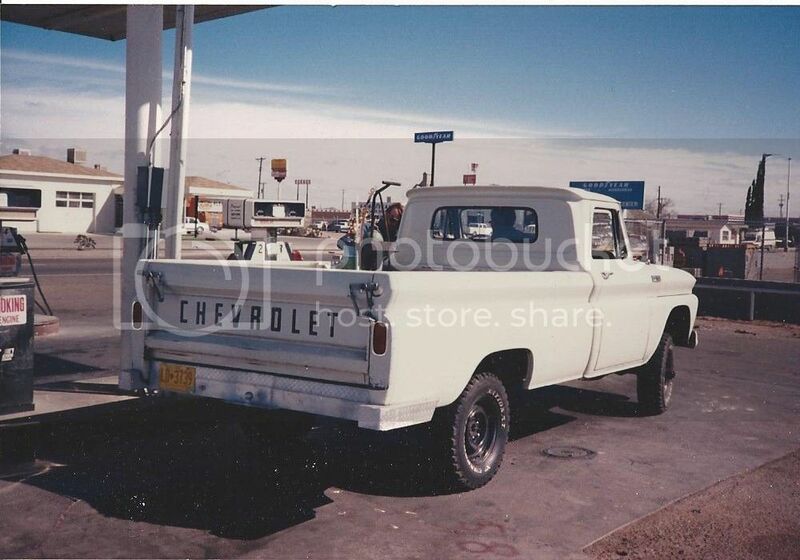 Heres some pictures of our 1965 K10 22 years ago while still in Silver City New Mexico. but this kid knows his car stuff. i love looking back to history and seeing these trucks when they were the workhorse of the old days even tho they manage to dominate todays workforce. keep the pics coming guys!! "its not a hobby, It's a Lifestyle"
Too bad I was young and dumb when I owned that truck, didn't know what a gem I had... But, that's called living and learning! I would guess, one in ten of us sold a vehicle we wish we hadn't. I did, but 25 years later I found it and bought it back. Great pics guys! While the commercial-type photos are cool, I love seeing the old personal photos. 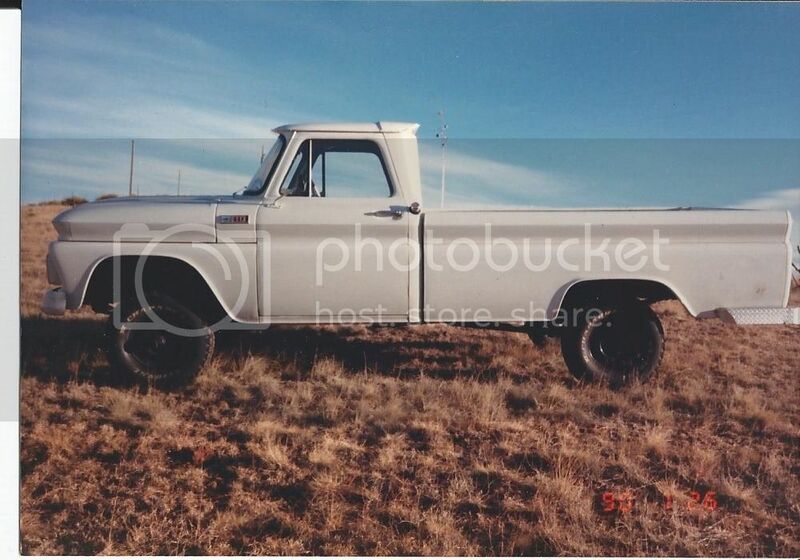 Nothing like real memories you have of an old truck. Saw this on Facebook the other day. Not sure how old it really is, but I thought it was a cool pic nonetheless! A buddy of mine just bought this one today. Sold new here in Wi, same owner as in picture from 1966-2013 . 1966 and 2013 pictures and still running its split rims. Showing 65,000 Wisconsin miles. Bedwood near perfect 292 4 speed C20. That's amazing! Good for him. Here's my original 65 right after I wrecked it. 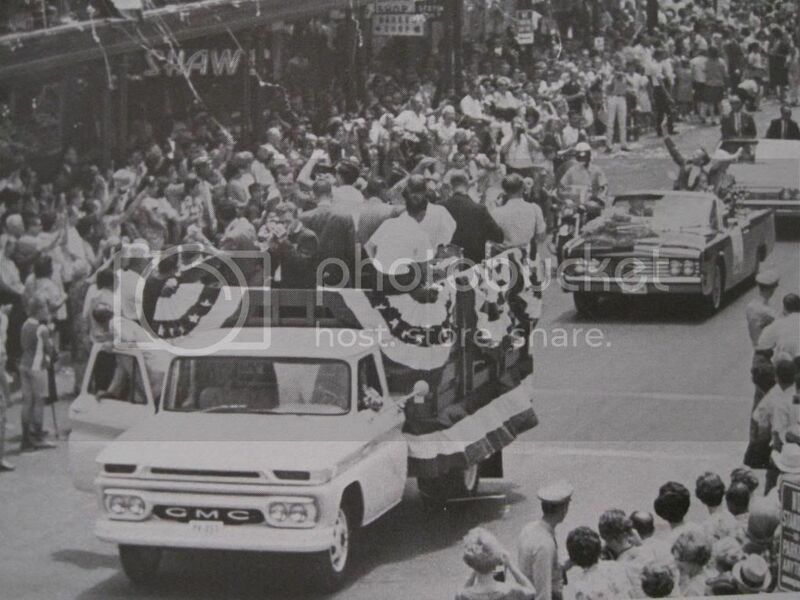 Is that a Chevrolet badged "B-series" big truck in the mid left side of the pic in the post above?!? 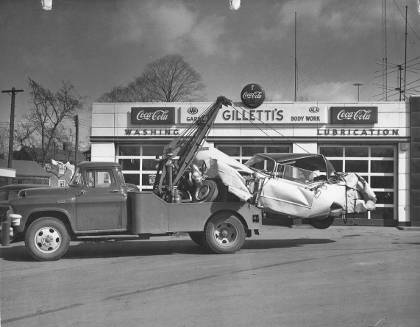 I didn't Chevrolet made a version of that truck. Attachment 1135419Heres a few more. Whoever ordered trucks at the Tom Henry dealership really liked red. 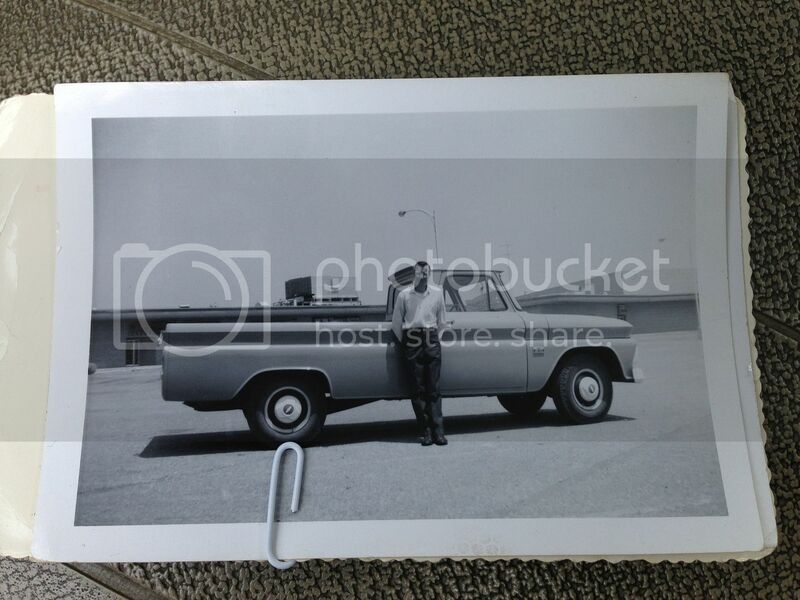 Last edited by 1963c-10; 07-24-2013 at 03:13 PM. Great photos, too bad the original photo wasn't taken in color also. Looks heavy duty with those 16" lock ring wheels. 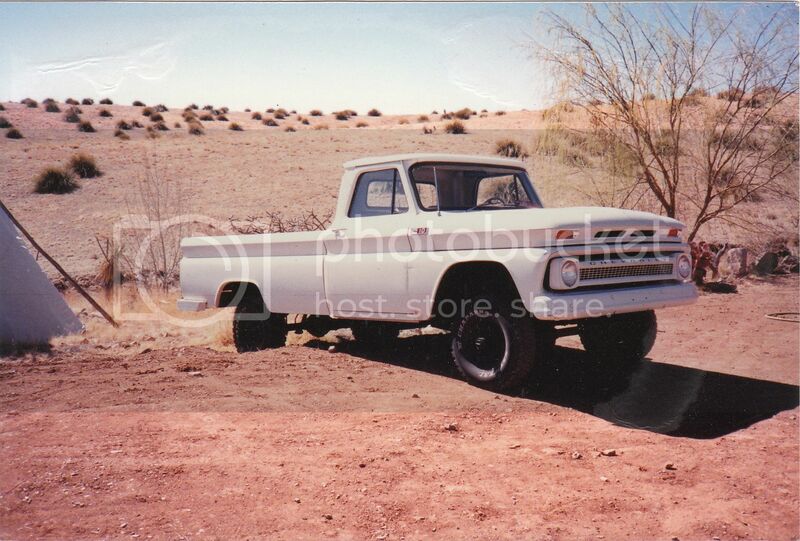 A 60's 3/4 ton with original wheels is not a common site today. 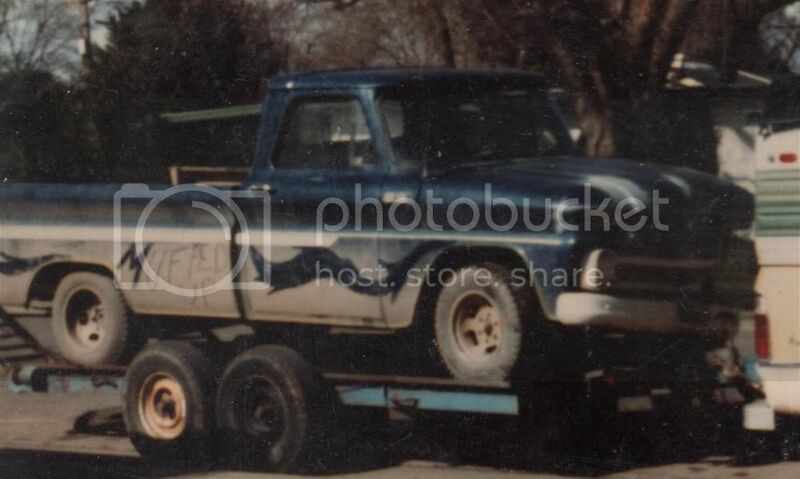 64 or 65 GMC 2500. Note hood scoop paint treatment when new. Factory painted the center section between hood scoops black to give the effect of one long hood scoop. This detail is lost on 99 % of repainted '62 thru '66 GMC's. Note hood scoop paint treatment when new. Factory painted the center section between hood scoops black to give the effect of one long hood scoop. This detail is lost on 99 % of repainted '62 thru '66 GMC's. Great information. Thank you! I love that look as well. 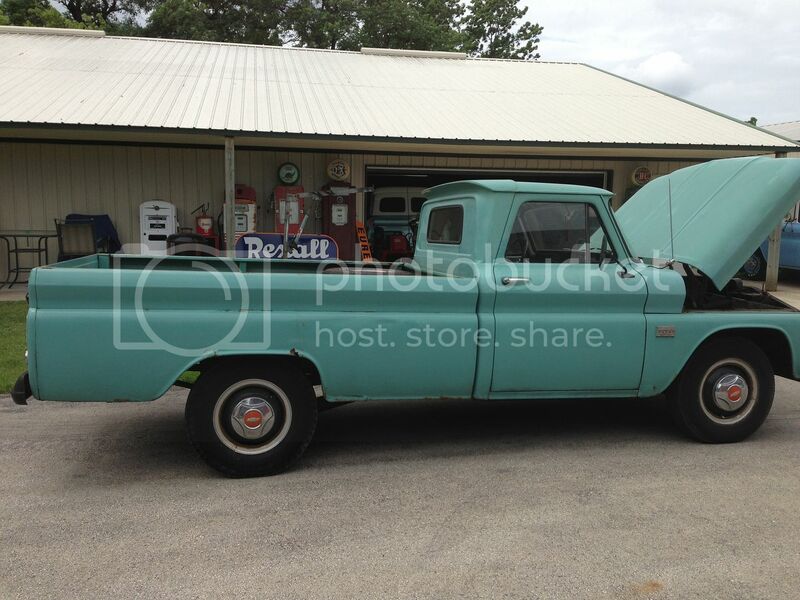 1966 C10 Custom Cab "Luigi"
I think I spot three.